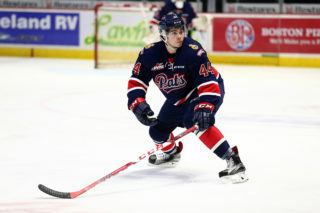 Regina, Saskatchewan – The Regina Pats Hockey Club announced today the signing of four prospects. The Pats inked forward Kyle Westeringh and defencemen James Hilsendager, Brady Pouteau and Ryan Krushen to Standard WHL Player Agreements. Kyle Westeringh (6’0”, 188 lbs, ’96) played with the Chilliwack Chiefs of the BCHL last season. 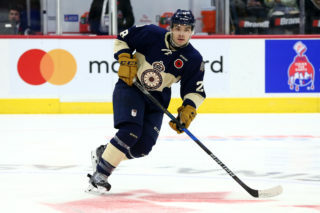 He played in 55 games as a rookie and picked up 19 points (10G, 9A) and 66 penalty minutes. In his final season of midget hockey in 2012-13, Westeringh totaled 20 points (11G, 9A) in 25 games. Westeringh was listed by the Blue and White in 2012. James Hilsendager (6’1”, 196 lbs, ’97) suited up for the Lloydminster Bobcats in the AMHL last season where he tallied 14 points (3G, 11A) in 33 games to go with 76 penalty minutes. Over the past two seasons, Hilsendager has also earned call-ups to the AJHL’s Lloydminster Bobcats having played five games in Junior-A, four last season. 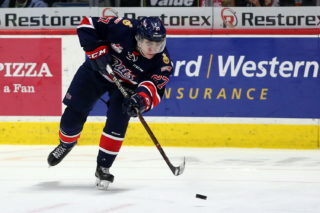 The Lloydminster native was the Pats 9th Round pick (187th Overall) in the 2012 WHL Bantam Draft. Brady Pouteau (6’2”, 186 lbs, ’98) skated with the MMHL’s Pembina Valley Hawks last season. In his rookie year, Pouteau put up 14 points (4G, 10A) and 16 penalty minutes in 40 games. 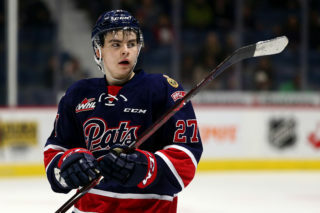 Pouteau was a 4th Round pick (79th Overall) of the Pats in the 2013 WHL Bantam Draft after he had 16 points and 36 penalty minutes over 30 games in Bantam AAA in 2012-13. Ryan Krushen (6’2”, 168 lbs, ’98) was a member of the Sherwood Spark Squires of the AMMHL last season. In Krushen’s first season of midget hockey, he notched 16 points (4G, 12A). A teammate of Sam Steel in Bantam AAA, Krushen was listed by the Pats following a 21 point season in the AMBHL and a strong showing at 2013 Regina Pats Training Camp. The Blue and White carry forward 37 players onto their roster for the Extreme Hockey Pre-Season Tournament. 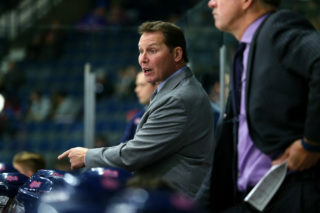 The Regina Pats open the Extreme Hockey Pre-Season Tournament Thursday night against the Moose Jaw Warriors at the Cooperators Centre. Puck drop is scheduled for 7 p.m.